Multi- blades or single- blade precision cutting optical glass, quartz glass,crystal, long glass prism and other brittle materials. 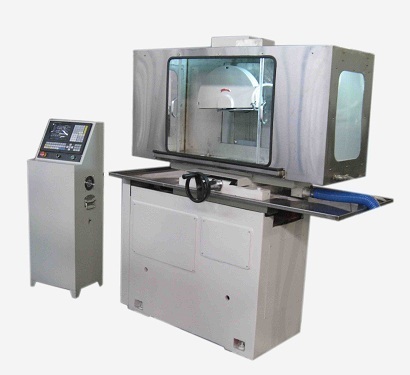 1.The machine adopts high-speed rotating diamond blade, using hydraulic to make vertical (Z-axis) feed and a stepper motors to make longitudinal feed (X-axis). 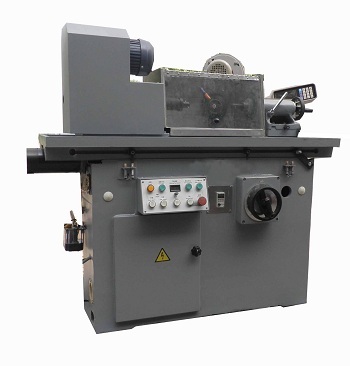 Except the loading/unloading glass blank and cross traverse feed (Y-axis) are manual operation, the longitudinal feed and diamond blade lifting are automatic operation. 2.All axis movement also can be controlled by manual (hand wheel). 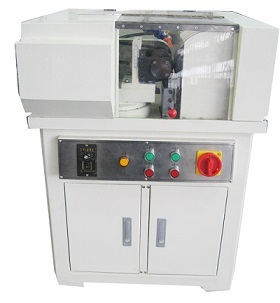 3.The blade rotating, coolant liquid supply and machine stop working are all automatic. It is with high efficiency for mass production.